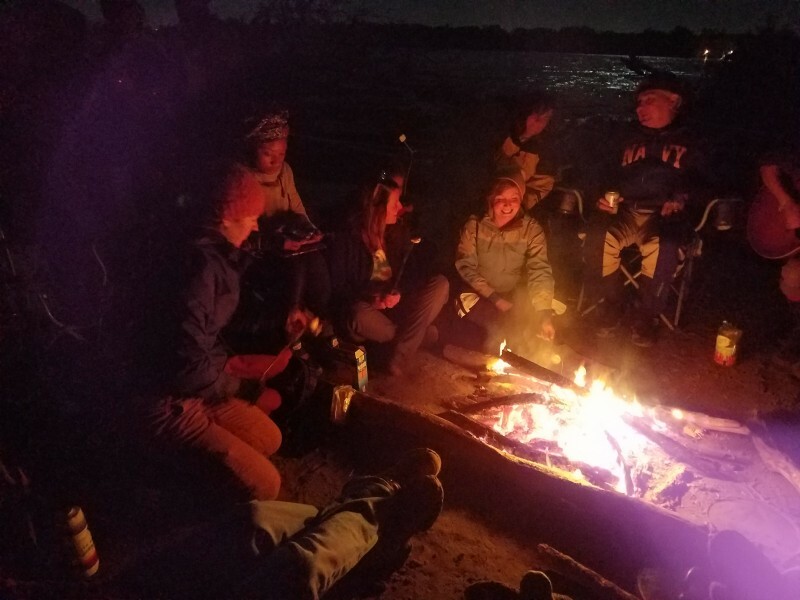 We love paddling and have tons of equipment, but sometimes you just want to relax. Tonight, Danelle and I had a date night with Mike Clark of Big Muddy Adventures. They offer monthly floats that happen during the full moon. 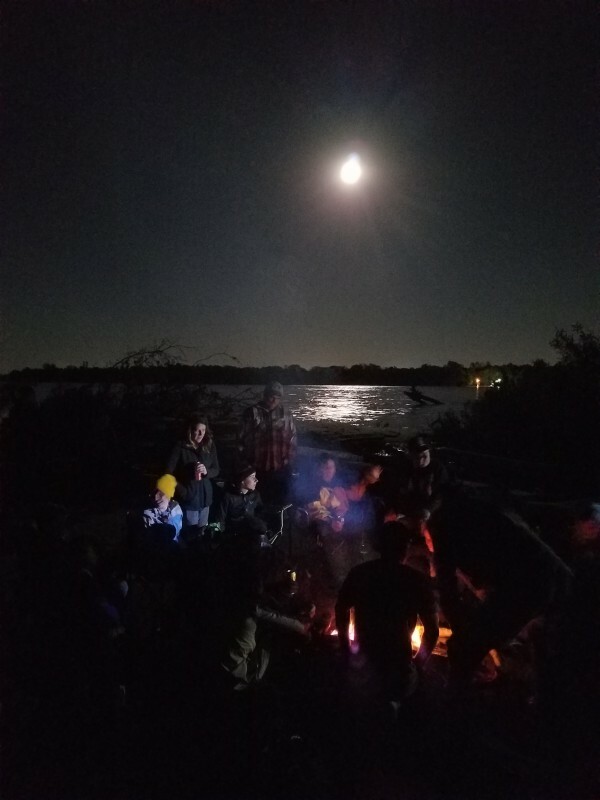 The full moon float includes paddling in a large voyager canoe (about 14 people) and dinner out on the Mississippi river. Add in the full moon, and its an amazing experience! Danelle and I standing by the river waiting for the start. 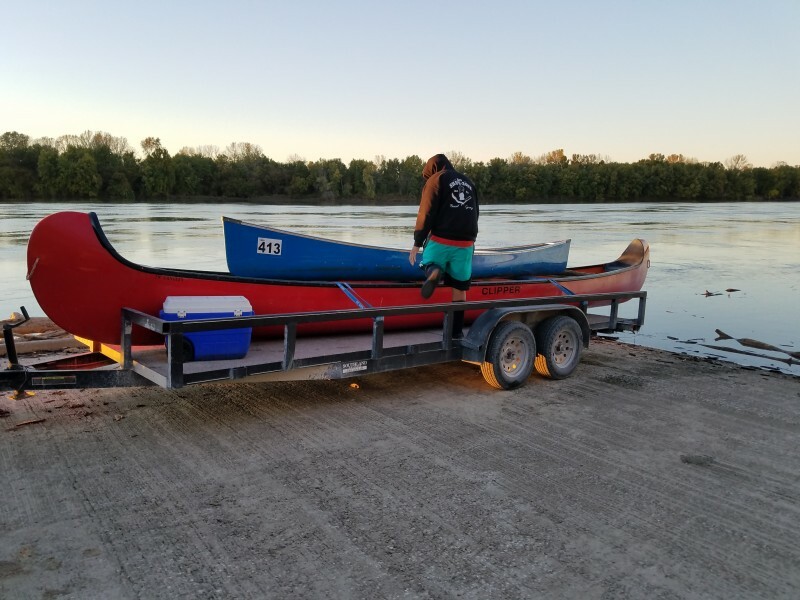 One of the voyager canoes that went on the trip. Another voyager and support boat arrive. From what I understand, this was a different paddle than the normal full moon float. 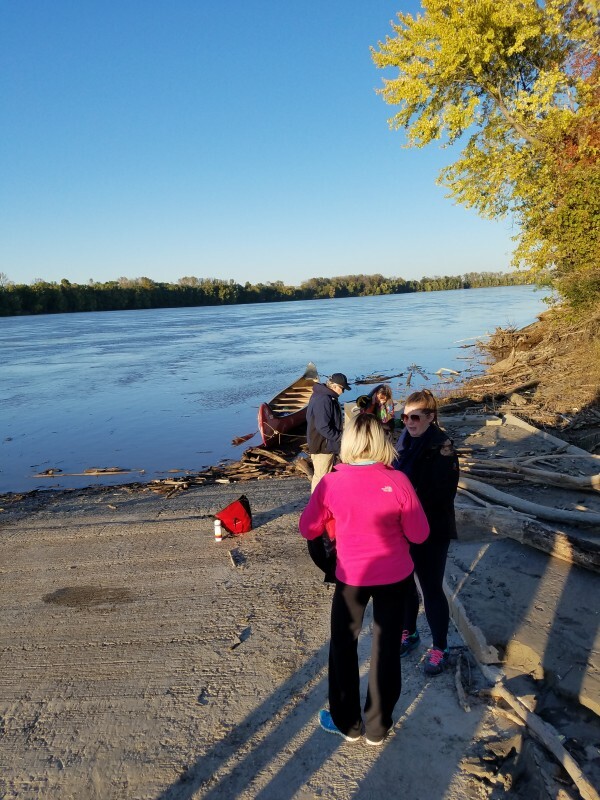 The Mississippi river is up a bunch, so we had to put in at this ramp on the Missouri river. 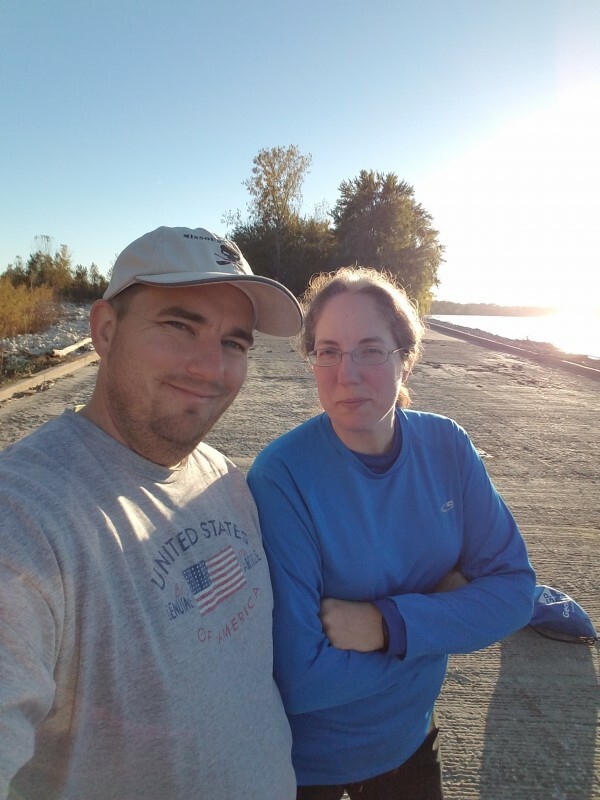 we paddled out into the confluence of the Mississippi before stopping for dinner on a sand bar. Dinner here was amazing. The sand bar was big enough for us to all have plenty of space. The fire was great for cooking dinner and necessary to stay warm. Maybe I’ll dress myself warmer next time! It was a great night, but unfortunately a weeknight, so we had to call it earlier than any of us wanted as most of us worked the next day. Still an amazing way to get out and see something different!